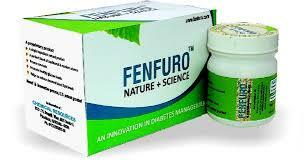 FENFURO Nature + Science - Manage Well, Live Well! India's diabetes rate up 123% since 1990. 1) Repeated dose 28 days oral toxicity study carried out at GLP approved lab confirmed the safety of the product.